Born on January 24, 1990 and growing up in the small Stepney District in the parish of St. Ann, about a mile from Bob Marley's Nine Mile birthplace, Romain Virgo made history in 2007 by becoming the youngest person to win the Digicel Rising Stars competition. Now 3 years, an EP, and several singles later he presents his long-awaited and highly-anticipated debut album for VP Records. On this self-titled record Romain has teamed up with legendary producer Donovan Germaine of Penthouse Records on 10 of the 15 tracks. The album begins with a big tune bubblin over the 'I Feel Good' riddim from Penthouse entitled Mi Caan Sleep. This was a definite indication of Romain's talent when it surfaced in early 2009 and ended up being one of the most popular tunes on the riddim. The massive hit Who Feels It Knows It on the 'Serve and Protect' riddim, again from Penthouse, continues the album's blistering pace. Impressive is the fact that Virgo can pen such a meaningful, emotive tune at such a young age. He shows a maturity well beyond his 20 years throughout the record. Love Doctor is silky smooth as Romain transitions perfectly into romancing the ladies while riding Germain's 'Automatic' riddim. Taking You Home is a powerful tune on the 'Big Stage' riddim, the latest project from Penthouse. Romain proves that chivalry is alive and well as he promises to comfort and cherish a victim of domestic abuse. Big Tune... Big Riddim... Boomshot!! As The Money Done cautions the guys to keep their financial affairs to themselves or be prepared for the gold diggers to leave when the dollars are gone. Should I Call Her, and Wanna Go Home are both solid love tunes produced by the talented Darwin and Omar Brown of Vikings Productions. Vikings Productions can lay claim to a Boomshot with the classic Walking Out On You. Virgo laments the fact that he's caused his lady so much pain. He recognizes she deserves much better and decides to be a man and walk away. Romain's inspiration for the song is apparent as the refrain from the David Ruffin hit 'Walk Away From Love' is used with great effect. Shane C. Brown of Juke Boxx lends his talents on Live Mi Life. An updated version of the 'Boops' riddim provides the backdrop for a responsible tale about Virgo's determination to provide for his family without resorting to a life of crime. If showing his versatility was the aim on the dancehall tune Customer Care than Romain hit a bulls eye! His rapid-fire delivery is reminiscent of some of the tunes Surpize, a.k.a. Wayne Wonder, has done through the years on his albums for Penthouse. The dynamic duo of Romain and Germain strikes again on the wicked tune No Money. He states emphatically that he will be no one's financier, especially leeches who wrongly assume his rise to fame and success was not a result of hard work and sacrifice. Vikings gets credit for the brutally honest Murderer while two more Donovan Germain produced tracks, Be Careful and I'm Doing Good with fellow Rising Stars alum Cameal Davis, close out a superb set. 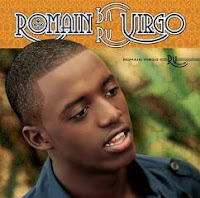 Romain Virgo's debut full length album is easily one of the best albums of 2010. This rising young talent shows tremendous poise, professionalism, and maturity on an album full of first class tunes. Unquestionably, these are tunes that the masses will be singing and dancing to for many years to come! ESSENTIAL!